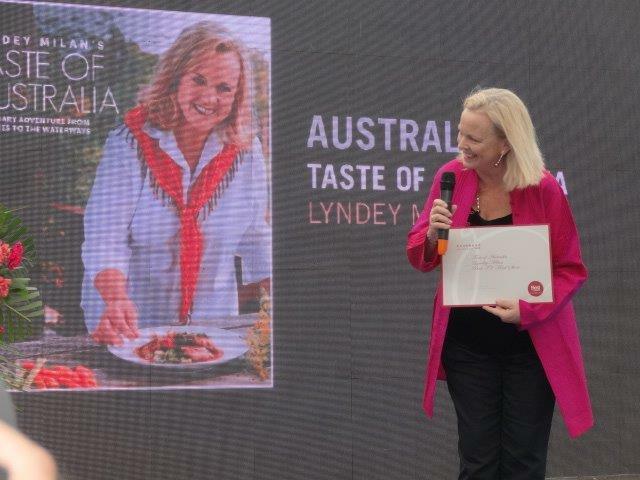 Gourmand World Awards (2015)Best Food TV Show for Lyndey Milan’s Taste of Australia. Gourmand World Cookbook Awards (2014) Best TV Chef Cookbook (in English) for Lyndey Milan’s Taste of Australia. Order of Australia – OAM (2014) Awarded an OAM in the Australia Day Honours List for service to hospitality, the food and wine industry and the community. The Vittoria Legend Award (2012) At the Sydney Morning Herald’s Good Food Guide Awards.